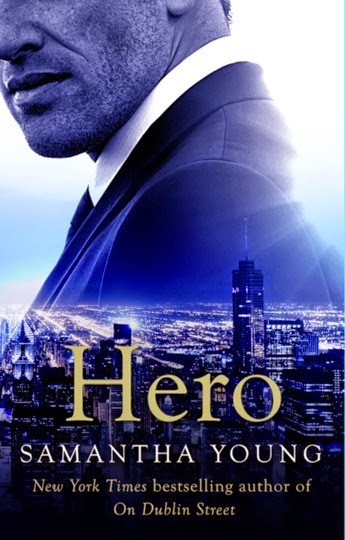 It's no secret that I'm a HUGE fan of Samantha Young's On Dublin Street series, I devoured each of those books the minute I got my hands on them, so it shouldn't be a surprise when I tell you how excited I am for her upcoming stand alone story Hero. UK Cover vs US Cover - which do you prefer? The explosive, emotional and unforgettable new romance from the NYT bestselling author of the On Dublin Street series. Alexa Holland's father was her hero-until her shocking discovery. Ever since, Alexa has worked to turn her life in a different direction and forge her own identity outside of his terrible secrets. But when she meets a man who's as damaged by her father's mistakes as she is, Alexa must help him. Caine Carraway wants nothing to do with Alexa's efforts at redemption, but it's not so easy to push her away. Determined to make her hate him, he brings her to the edge of her patience and waits for her to walk away. But his actions only draw them together and, despite the odds, they begin an intense and all-consuming affair. 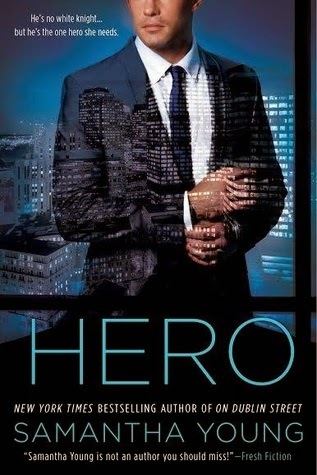 Only Caine knows he can never be the white knight that Alexa has always longed for, and when they're on the precipice of danger, he finds he'll do anything to protect either one of them from being hurt again . . . So who else is as excited about this book as I am? I CAN'T WAIT until February! !